Accepts Credit Cards: No. Parking: Street. Wheelchair Accessible: Yes. Good for Kids: Yes. Good for Groups: Yes. Attire: Sophisticated. Noise Level: Average. Good For Dancing: Yes. Alcohol: Yes. Best Nights: Fri, Sat, Sun. Takes Reservations: Yes. Tombs with a view. If you figure that your decay into eternity will smell the sweeter behind a salty sea breeze, then let the mistral wind of the Mediterranean blow your rot to a glamorous oblivion above the turquoise fringes of the Côte d’Azur. But ocean views aren’t all that recommend the Cimetière Saint-Pancrace in Roquebrune-Cap Martin to the discerning crypt connoisseur–bold, modernist architectural forms strike up from amidst the high cedars, in a sepulchral skyline that will punctuate your passage to the afterlife with a (probably eventually) ironic statement on the eternal progress of man. 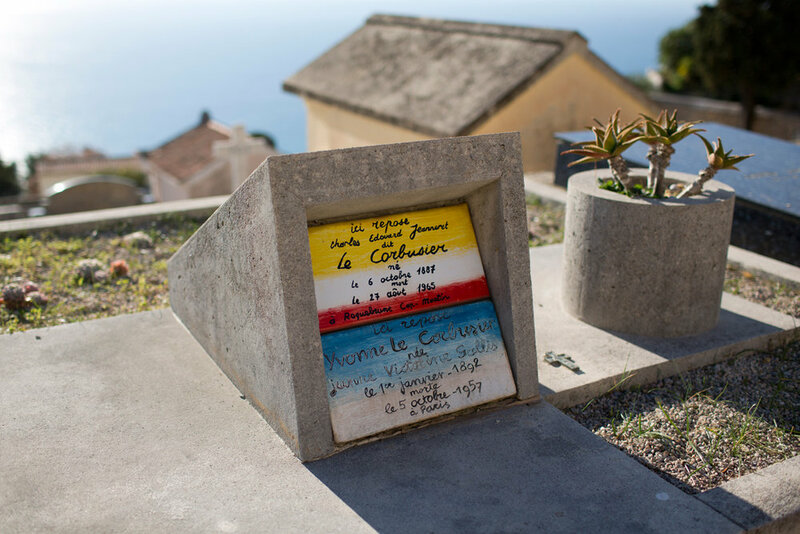 A final home for the true aesthete, your neighbors in the grave will include no lesser a figure than Le Corbusier himself, whose heart gave out on a fateful morning swim in the horizon-spanning sea below.